This video explains how to use the swept paths of large vehicles to aid in the design of junctions and to analyse suitability of routes. 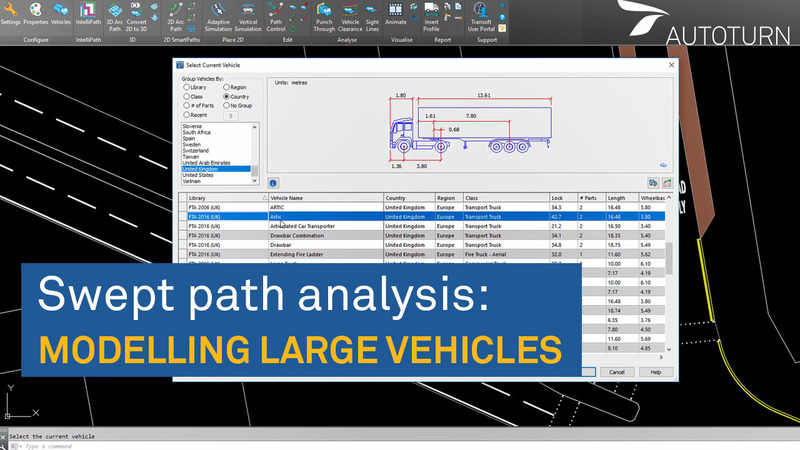 Specific features covered include editing swept paths and targeting of geometry using the various SmartPath tools. The video was created with AutoTURN.